As part of the Building Healthy Communities movement, Merced and surrounding communities are working to create opportunity-rich communities where children are safe, healthy, and ready to learn. By opportunity, we mean a situation or condition that places families and individuals in a position to be more likely to succeed. When we talk about opportunity, we’re talking about the balance of the assets and challenges that people experience within a community. Opportunity has a geographic footprint, and this document contains several opportunity maps. Maps are a great tool for understanding differences in access to opportunity. Opportunity maps reveal where opportunity is located geographically; demonstrate how different groups of people are concentrated in areas of low or high opportunity; and provide a platform for conversations about strategies to change the geography of opportunity and connect all residents to opportunity. The study area includes Merced, Le Grand, Planada, and the Beachwood Franklin area. The maps presented here focus especially on Education opportunity; Health and Environment opportunity; and Comprehensive opportunity. We also looked at Housing and Neighborhood opportunity and Economic and Mobility opportunity (please see the Supplemental Materials document). 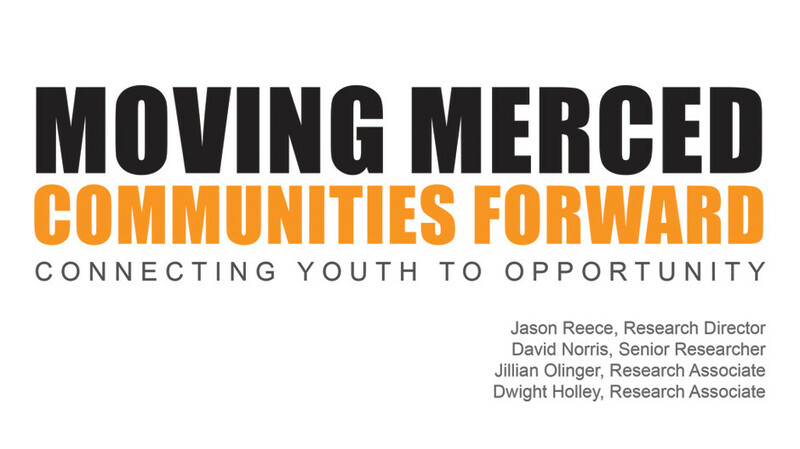 In our analysis, we found that children in the most distressed communities of Merced face multiple barriers to opportunity, including healthy outlets for recreation, high quality education, viable transportation, healthy food, and empowerment to make changes. Through several meetings with community members and other stakeholders, we heard many times that families do not feel empowered to make the changes they want to see. The need for improved engagement between policy makers, organizational representatives, and the community became clear. This report also includes recommendations for building civic capacity and increasing engagement and ultimately, empowerment.